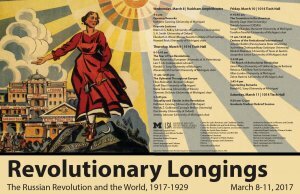 Commencing on the 100th anniversary of the inception of Russia’s “February Revolution,” this conference will set the February and October revolutions of 1917 in the larger context of their global reverberations. 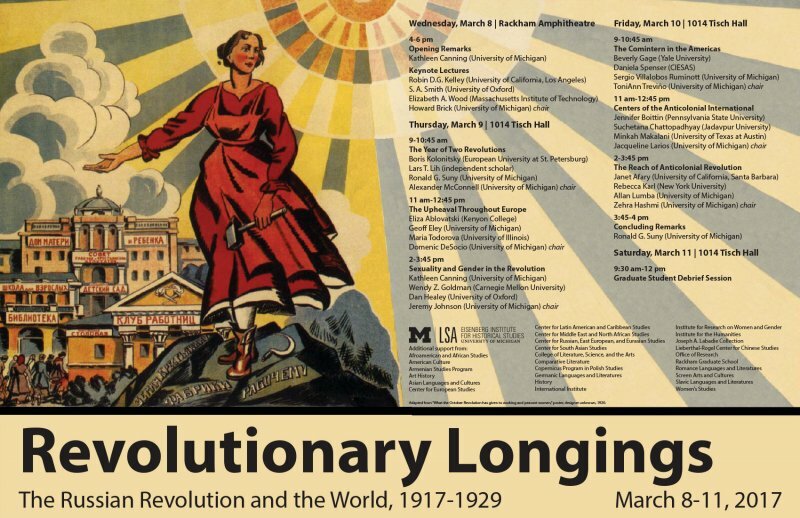 Presentations and discussions will focus on the early Soviet experience, revolutionary insurgencies elsewhere in the world (and the reactions they encountered), and the historical impact of that period’s visions of a socialist future. When: From Wednedsay March 8 to March 11.